The Coalition has limited capacity for accepting in-kind donations. If you would like to make donation of new clothing, please contact us at 212-776-2112 or development@cfthomeless.org. Please note: We cannot accept walk-in donations, furniture, mattresses, kitchen appliances, or other large items. To provide the women enrolled in the First Step Job Training Program with professional clothing and books, First Step manages a modest clothing boutique and a library. Donations of these items are welcome. A workplace can host a drive and encourage their employees to collect professional work attire and accessories for our First Step Students. If you’re interested in hosting a women’s professional clothing drive, please email volunteer@cfthomeless.org. Child homelessness in New York is at its highest point in modern history. To help ease the stress of shelter life on these girls and boys, the Coalition organizes a series of drives to make sure they have the things they need to succeed in school, feel the magic of the holidays, and have a happy and healthy summer. For homeless kids, the holiday season serves only as a sad and stressful reminder of the homes and belongings they left behind. Each holiday season, the Coalition organizes a citywide toy drive to collect gifts for girls and boys living in shelters, helping to brighten their holidays. To organize a toy drive at your workplace, host a distribution location or make a financial contribution to the toy drive, please email us at toydrive@cfthomeless.org. 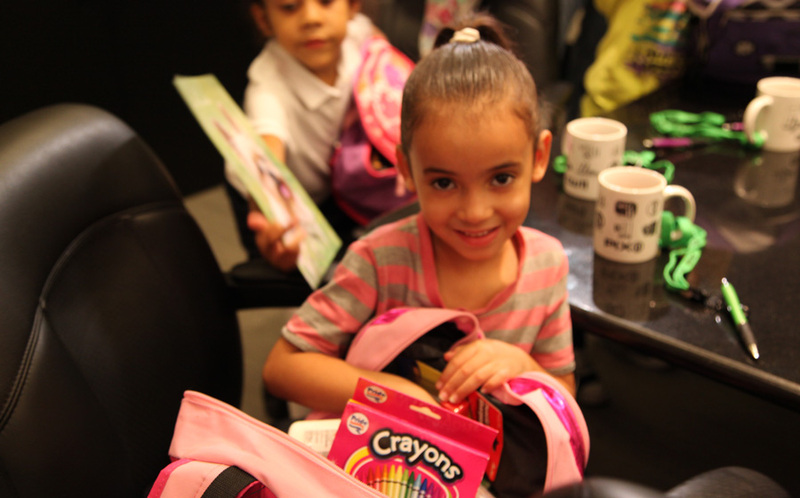 At the end of each summer, the Coalition reaches out to caring New Yorkers and businesses to collect thousands of backpacks, notebooks, pencils, crayons and other school supplies for homeless kids in shelters across the city – giving them the basic tools that they need to succeed in school. If you’re interested in hosting a drive or a serving as a drop-off location for Project: Back to School, please email us at backtoschool@cfthomeless.org. Each spring, in preparation for our campers’ arrival in June, Camp Homeward Bound hosts drives for children’s summer clothing and bathing suits to ensure that the homeless children who attend camp have all that they need to embrace the camp experience. If you’re interested in hosting a children’s summer clothing drive, please contact us at volunteer@cfthomeless.org or call 212-776-2112.